Both animal experimental and human clinical research have shown Vinpocetine to restore impaired brain carbohydrate/ energy metabolism. 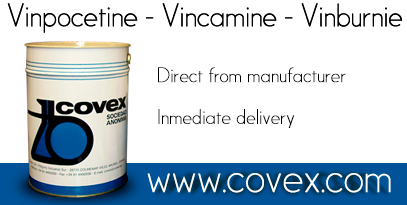 Vamosi's study also demonstrated a superior clinical efficacy of Vinpocetine over Xanthinol Nicotinate. 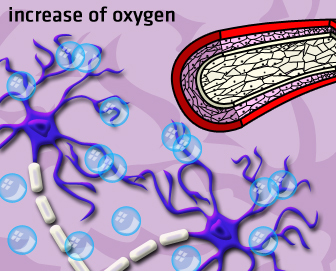 These are just a few of the many reports indicating the ability of Vinpocetine to safely and effectively restore failing neuronal energy metabolism, even under hypoxic or ischaemic (poor blood flow) conditions. 2. C. Nicholson (1990) ''Pharmcology of nootropics and metabolically active compounds in relation to their use in dementia.'' Psychopharm 101, 147-59. 3. K. Biro (1976) ''Protective activity of Ethyl Apovincaminate on ischemic anoxia of the brain'' A.F. (D.R.) 28, 1918-20.